This page provides the terms and conditions for use of the SaralStocks.com website and pages accessible there from, hereinafter referred to as the "Site" and the services contained within. By using the Site or downloading information from the Site, the user (You) agree to the terms and conditions listed here. This Agreement applies to users(s) if users(s) are visitors, registered- free or paid user(s) who access the website for any purpose. It also applies to any legal entity which may be represented by you. This Site SaralStocks.com does not offer any financial or legal advice through the site. The information including Articles written in blog, contents of our newsletter, calculators and other features and tools provided on the site are solely for individual education and understanding the financial and investment issues involved and help you make sensible financial decisions yourself. SaralStocks.com is neither a Portfolio Manager, Broker or a Sub-broker and is not registered with any stock exchange. SaralStocks.com does not manage your funds nor advices or directs you to acquire, dispose of or retain any securities. SaralStocks.com does not come under the purview of the SEBI ( Portfolio Managers ) Regulations 1993 or SEBI ( Stock Brokers and Sub Brokers) Regulations 1992. The transmission of information from this site to you is not intended to create nor does it create an advisor-client relationship between SaralStocks.com and you. Though every effort is made to make accurate, reliable and current information on the website, SaralStocks.com makes no representation, warranty or claim that the information available on the website is current or accurate. SaralStocks.com is not responsible for any errors or omissions in the resources or information available at or from the website. The transmission of information from this site to you is not intended to create nor does it create an advisor-client relationship between SaralStocks.com and you. The information on the Site is not to be reproduced without SaralStocks's express consent. SaralStocks.com states that the on-line resources that can be accessed from the Site by use of hypertext links are not maintained or controlled by SaralStocks.com. SaralStocks.com is therefore not responsible for the content of such linked resources. SaralStocks.com makes no warranty express or implied with respect to the use of the links provided nor does SaralStocks.com guarantee the accuracy, completeness, usefulness or adequacy of any resource, information, system, product or process available at or from the website. SaralStocks.com may change, alter, modify, amend or update this agreement from time to time without any prior notification to the user(s) and the amended or restated terms and conditions of use shall be effective immediately on posting of use shall bind the user(s). Reference at the Site to any specific commercial product, process or service by its trade name, trademark, manufacturer or otherwise does not constitute or imply its endorsement or recommendation by SaralStocks.com. Any trademark referenced belongs to its owner, and SaralStocks.com makes no claim as to its use or ownership. Copyright on materials available on the Site may belong to SaralStocks.com or others (Copyright Owner). Any use of such material without express authorization of the Copyright Owner is at your own risk. Title to copyright in materials on the Site will at all times remain with the Copyright Owner. Any permitted copies of the Site or portions thereof must retain any copyright notices and other notices thereon. Nothing on the Site shall be construed as conferring any license in respect of the Copyright Owner's rights, whether express, implied, or otherwise. SaralStocks.com may revoke any rights granted with respect to use of the Site at any time. SaralStocks.com has entered into a contractual arrangement with Citrus Payment for the payment gateway. Please visit their website for terms and conditions and security features of the credit card transactions available via this site. Different countries have various rules concerning use of appropriate software and encryption options for electronic transactions. The use of such appropriate software and encryption options are your own responsibility and SaralStocks assumes no risk or liability for your compliance with laws and regulations that may exist in your jurisdiction. SaralStocks.com has hosted its website with a webhosting service which has taken adequate measures to safeguard against malicious denial of service attacks, database hacks, viruses, and other threats by using a shared Firewall that protects SaralStocks's server and critical data by blocking bad traffic while efficiently allowing legitimate traffic to pass through. The Protection System used by the webhosting service offers intelligent, bulletproof security from attacks and other malicious intrusions on SaralStocks's Server. However SaralStocks.com makes no representation or warranty as to whether information you transmit to the Site will be intercepted by, or otherwise be received by, an unauthorized third party, and you transmit such information at your own risk. SaralStocks.com shall not be liable for any loss of information howsoever caused whether as a result of any interruption, suspension, or termination of the Service or otherwise SaralStocks.com would not be held liable for any loss of data, technical or otherwise, information, particulars supplied by you due to the reasons beyond its control like corruption of data or delay or failure to perform as a result of any causes or conditions that are beyond SaralStocks.com's reasonable control including but not limited to strike, riots, civil unrest, Govt. policies, tampering of data by unauthorized persons like hackers, war and natural calamities. SaralStocks at the time of registration asks for and collects certain information about you, including personally identifiable information such as name, postal address, email address,etc When you provide such information, SaralStocks may use this information to provide member benefits such as to send notifications of upcoming events, newsletters,publications etc. If you do not want to receive such communications from SaralStocks, you may write to us at info@saralstocks.com with "unsubscribe" written in the subject line. SaralStocks.com does not warrant that the Site or any of the web sites linked to Site be free of any operational errors nor that it will be free of any virus, worm, or other harmful component. Under no circumstances shall SaralStocks.com be held liable for delay or failure or disruption of the content or services delivered through the website resulting directly or indirectly from acts of nature, causes beyond its reasonable control, including internet failures, computer, telecommunications or any other equipment failures , electrical power failures, etc. The features available to different types of users are available in the feature list.On duly filling up the online registration form by the User, SaralStocks.com will establish an account for the User and an E-mail will be sent to the user as per the details provided in the form. Upon clicking on that link account gets activated. SaralStocks.com reserves right to inspect correctness of information if found necessary. Any suspicious account will not be activated till final acceptance by SaralStocks.com irrespective of payment. SaralStocks.com reserves right to deactivate / suspend / restrict / terminate any account in the interest of SaralStocks.com or in the general interest without any prior notice without giving any reason thereof or also on grounds of non-payment, unauthorized use, incorrect incomplete or untrue disclosure of information, objectionable displays or behaviour without any claim for refund. SaralStocks reserves the right to change features/functionalities & entitlement to users at any point without prior intimation to users. Notify us immediately of any changes to the Personal Information. You agree not to - impersonate any other person or entity or to use a false name or a name that you are not authorised to use, or disclose your password or user name to any other person, or allow your password or user name to be used by any other person to access the Services. SaralStocks.com does not continuously monitor, verify or approve the third party content before it is uploaded on the website but periodically verifies the content to ensure that the content does not violate any rules, regulation and laws prevailing in India for the relevant time period. Therefore SaralStocks.com may refuse, suspend, terminate, delete, edit or amend any artwork, materials, information or content of any data or information or posting so as, in the sole opinion of the SaralStocks.com, to comply with the legal or moral obligations as placed on the SaralStocks.com and to avoid infringing a third party's rights or any other rules, standards or codes of practices that may be applicable to the posting or the Site or the internet. The User expressly agrees to use the Service strictly for personal purpose. The User shall not recompile, disassemble copy, modify, distribute, transmit, display, circulate, broadcast, perform, reproduce, publish or create derivative works from, transfer, or sell any information, content, software, products, tools or services accessed from this web site. The User may not rent, lease, sell, sublicense, lend or in any manner allow any other party to use the Service, with or without consideration. By viewing the contents of this website you agree this condition of viewing and you acknowledge that any unauthorized use is unlawful and may subject you to civil or criminal penalties. User shall be responsible for creating and safe keeping of his Password. SaralStocks.com does not have access to such password since it is generated randomly on the SaralStocks's system, encrypted and passed on to the User. User shall bear all responsibility of keeping the password secure and in the event that the User incurs any liability to SaralStocks.com or any other third party as a result of the password being used by third parties, or due to improper use of the password, User shall, without limitation, bear all such liability. All Users of the website/service in countries other than India should verify whether they are violating any of the local laws in such countries by using this website/ service. If the User chooses to access the Service from outside India, he shall be responsible for compliance with foreign and local laws. The Users agree that they will solely be liable for any liability incurred by them in this regard and will indemnify SaralStocks.com for any liability SaralStocks.com may incur in any foreign jurisdiction as a consequence of citizens / residents of countries other than India using the Service. This service does not constitute an offer to sell or a solicitation to any person in any jurisdiction where it is unlawful to make such an offer or solicitation. It is the sole responsibility of User/s to provide the correct mobile number to receive SMS alerts. SMS alerts are sent as & when the event happens during/post market hours, there's no fixed schedule to send the sms triggers/alerts. There can be delay in delivery of the alert/trigger via sms due to various factors like, operator, traffic on sms server, technical issue etc. and SaralStocks.com can't be held liable for that. You will not receive any SMS if the Government/regulatory bodies stop SMS alerts to be sent for a specific period and SaralStocks cannot be held responsible for it. 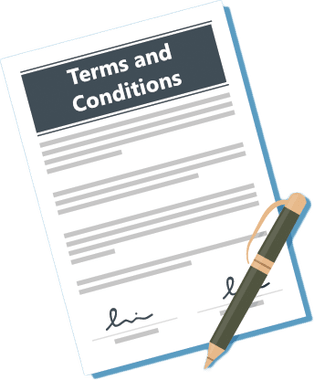 Terms and conditions of the User Agreement shall be governed by Indian Law and are subject to the jurisdiction only of the Courts of Pune, Maharashtra, India. The Parties to this Agreement hereby submit to the exclusive jurisdiction of the Courts of Pune, Maharashtra, India. Our policy is simple and fair for our customers. Anytime you want to cancel the subscription inform us - by sending an email to: support (at) affingotech (dot) com - and full monthly fee will be refunded. No questions asked, though it would good to know why you are leaving. Once your email request is received, we will send you an email notification to acknowledge the same. We will also notify you at what stage of processing is your refund. A credit will automatically be applied to your credit card or original method of payment, within a certain amount of days. Please note that your SaralStocks login credentials will be disabled within 8 working hours of receipt of request.